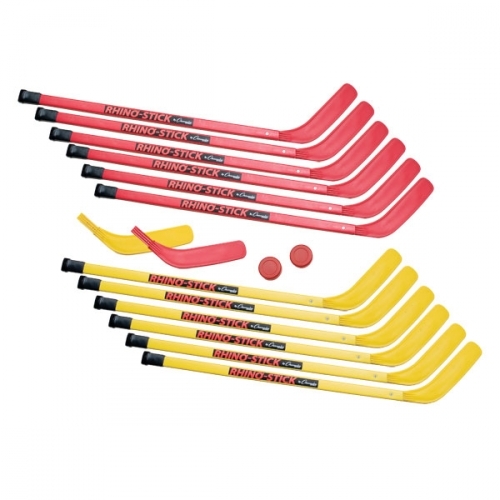 The Champion Sports Rhino® Stick Elementary Hockey Set is just what you need to start up a game of street or floor hockey. Featuring durable yet lightweight ABS plastic shafts with polyethylene non-marring blades, this set is great for elementary level play. 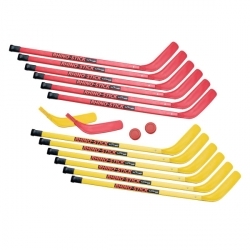 This set includes twelve 36" sticks, two pucks, two no-bounce balls, and two extra replacement blades.